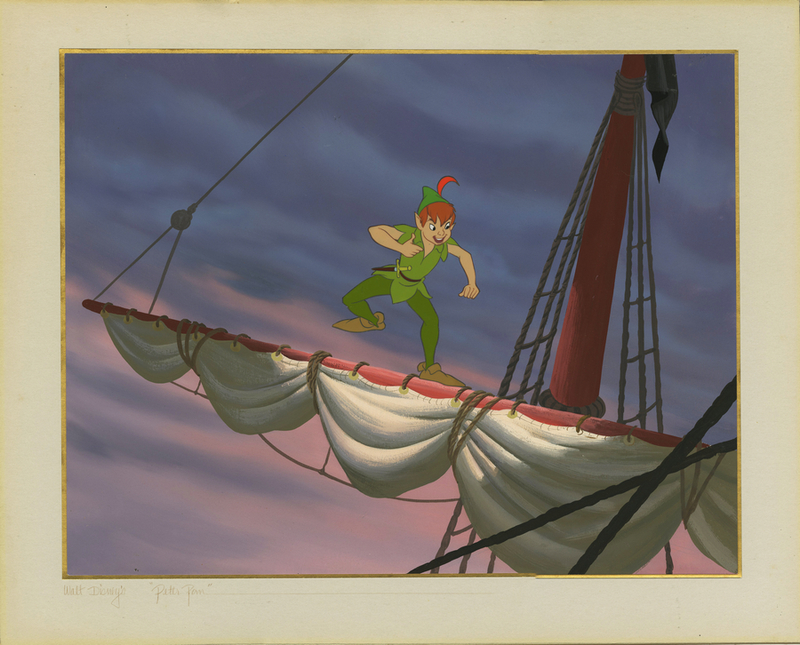 11.25" x 14.5",4.5" x 3.25"
This is a studio set-up featuring a production cel and background from the classic animated film, Peter Pan (1953). 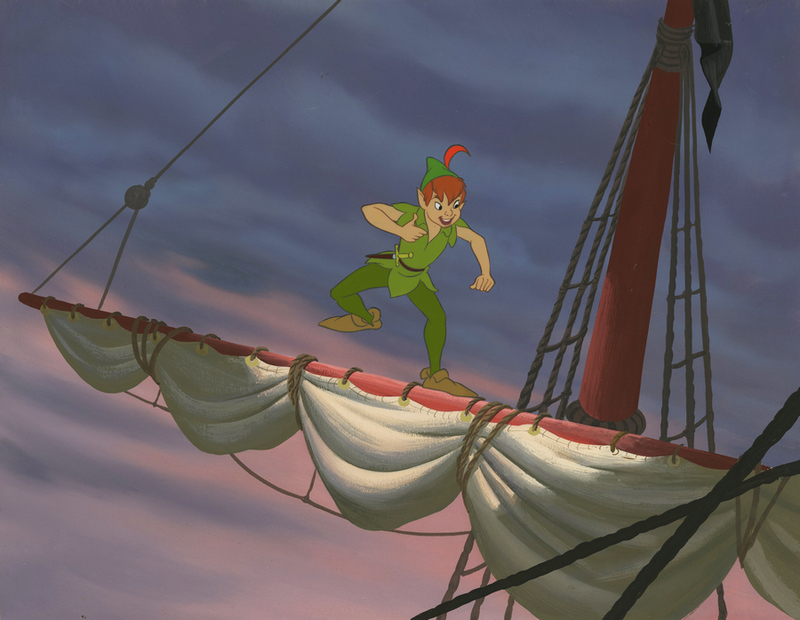 The cel features a fantastic image of the titular character, Peter Pan, with a gorgeous eyes open facial expression, looking playifully mischievous. The hand-painted background is a production background featuring the mast of Captain Hook's ship, and is actually from the scene in the film where Peter and Hook are sword fighting on the mast (there is a reference image of the scene shown for reference purpose, it is not an actual piece included with this piece). The cel is trimmed to image, measuring about 4.5" x 3.25" and is applied to the production background. This piece comes from the estate of Fulton Burley, as it was a personal gift he received from the studio. Fulton is mostly known for being a cast member at the Disneyland Golden Horseshoe Review, but he also plaid the role of Captain Hook in a Disney stage show of Peter Pan. To thank him for playing the role in the play, the company prepared this set-up for him and presented it to him as a gift.